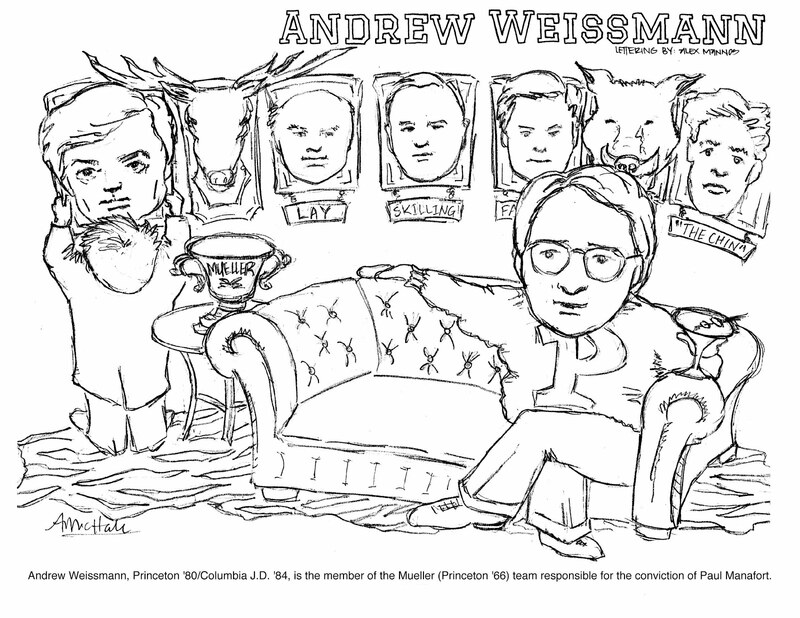 At 3:28am Friday morning, the President of the United States rage-tweeted, "Will Andrew Weissman's horrible and vicious prosecutorial past be listed in the Report. He wrongly destroyed people's lives, took down great companies, only to be........" ".....overturned, 9-0, in the United States Supreme Court. Doing the same thing to people now." By this tweet, Trump expressed his sympathy for Weissmann's prosecutorial targets - not just Paul Manafort, whose web of lies seems likely to land him in prison for the rest of his life (or worse); but such luminaries as the heads of the Genovese and Colombo crime families, as well as Enron executives Ken Lay, Jeffrey Skilling, and Andrew Fastow. Unlike many Trump tweets, the reference to a 9-0 loss at the Supreme Court is accurate, though its scope and significance are overstated. In Arthur Andersen LLP v. United States (2005), a unanimous Supreme Court overturned the conviction of accounting firm Arthur Anderson for destroying Enron documents. At issue was whether the jury was properly instructed on the law under which they were convicted, a law that requires that the defendant "knowingly" "corruptly persuade" persons to destroy or modify evidence. While they most assuredly corruptly persuaded, it was not made sufficiently clear to the jury that they had to know they were breaking the law when they did so. This case had no effect on the more than twenty Enron convictions (sixteen by guilty pleas, five at trial). The prosecutorial past to which Trump refers is one that included a stint as Chief of the Fraud Section of the Criminal Division of the DOJ, and as special counsel to Mueller when the latter served as FBI Director. If by "doing the same thing," Trump means to refer to Weissmann's long, successful history of white collar prosecution, all I can say is, "Go Tigers." If and when Robert Mueller, III makes the coloring book, a larger wall may be needed to display his trophy photos. Will it include Individual #1?